Although I haven't done much sewing in the last couple of weeks, I have still been making things. 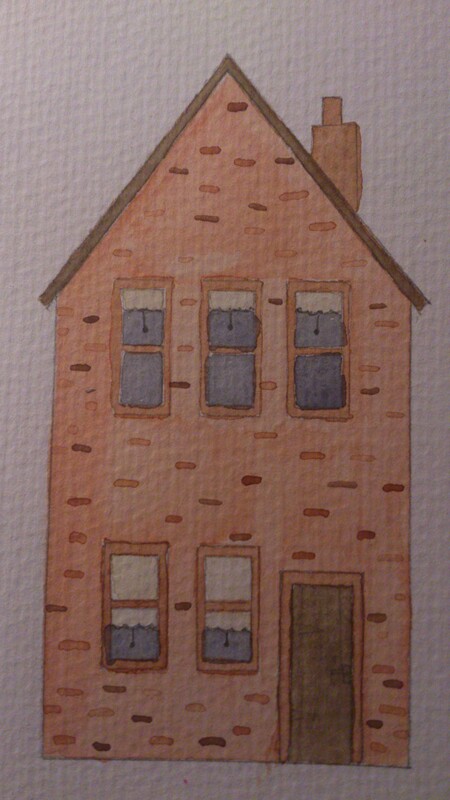 I decided to try a bit of watercolour painting and, as I have a thing about houses, this is the subject I have concentrated on. Here are my first few attempts. I've had a really busy few weeks at the day job so I have not had much time for sewing. 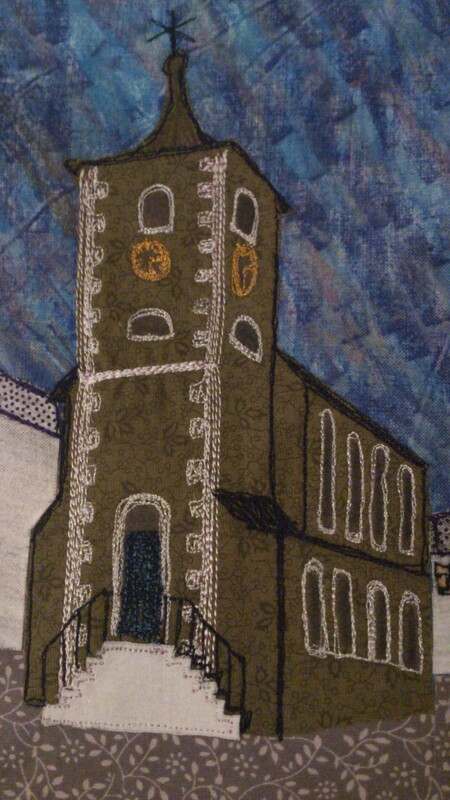 I have managed to do a bit more of my Moot Hall picture. 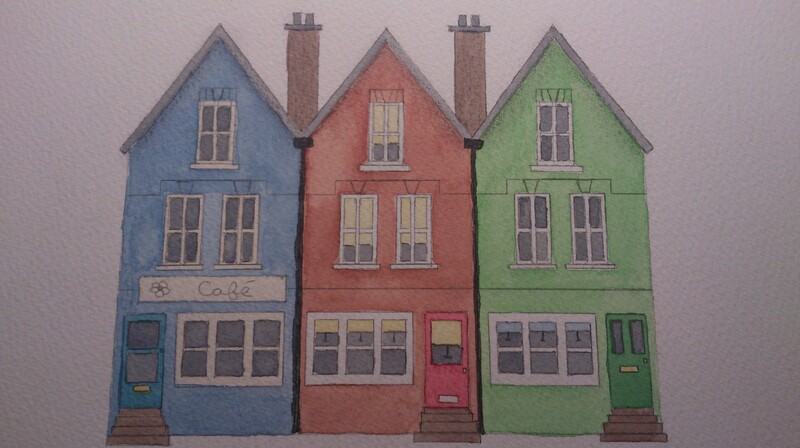 Here is a sneak peek at the progress. 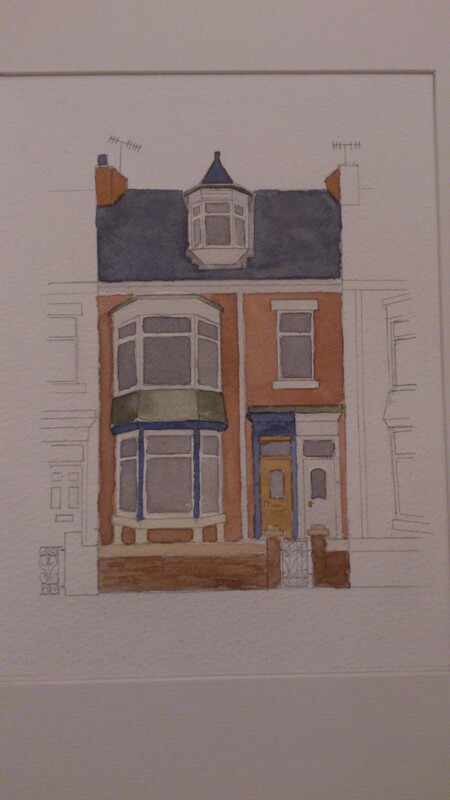 I have done some of the background but it is only part finished so you will have to wait to see it. Notebook covers are a good way to put a whole picture on an item rather than just a motif. In an extension to the Highland Cow and Sheep purses, I thought I'd try some other animals in different styles and notebooks covers seemed ideal for this.